The new Kawasaki is here, it is the King of the kawi’ssportsbike; the 2016 Kawasaki ZX10R. As much as we are excited to release the bike’s film, we are making it clear right now that the film will only come out in July 2016 along with the other makes that will be appearing in the show later this year. The 2016 Kawasaki ZX10R in general can be defined as a major improvement by Kawasaki to their ZX10R platform. How good is this improvement? It is enough to make our test riders, not just one but two of our test rider to smile all the time while testing it on the newly resurfaced circuit of Sepang. The ZX10R in general comes with an overall improvement from it’s chassis right down to the electronics package. It is amazing that the bike has improved a lot of from it’s predecessor, surely it is a development being made to further strengthen and increase the relevant standing as a road going superbike.The machine comes equipped with a lot of Kawasaki new electronic package derives from their World Superbike motorcycle development. It is exciting to see it all works during the test in Sepang. We were given enough riding time to test two different setting; a full traction assist and low power mode followed by a full power mode with low traction assist. 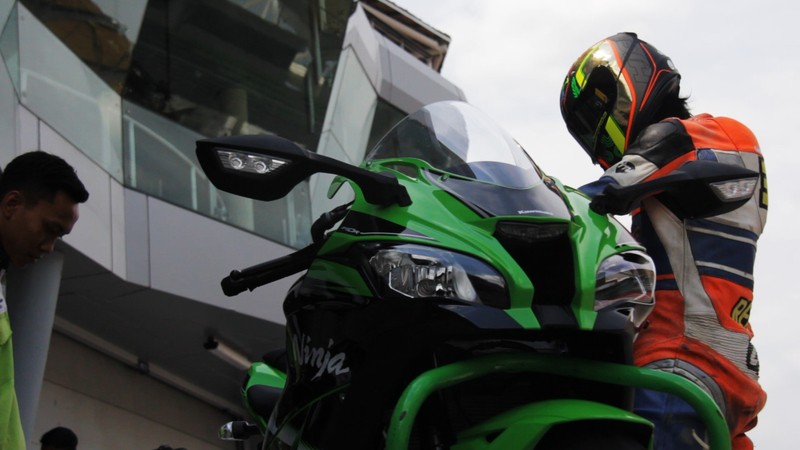 Both of our test riders spent not less than 15 laps on the bike around Sepang circuit; completing merely 80km-ish test around the circuit to find the sweet spot on the new ZX10R. Initial thoughts on the bike will be that the bike’s chassis remains the same feeling with much improved stability. This improved stability affects the ZX10R maneuverability and turning ability which felt a lot nimble than the previous model. We had the old ZX10R presence during the test which was ridden by our associate tester and Asia Road Racing 250cc rider Muzakkir Mohamed to share more data with our team. The new ZX10R surely gives the rider better control in dictating it’s trajectory and closing into the racing line later than the older ZX10R. Coming from a factory setup with no adjustment made, this surely impresses us by how much work has been cut off by Kawasaki to get the bike readier for the track. According to both Muhammad Rashidi and ReffyKamar, they mutually agreed that the new ZX10R has a slight bias towards the road setting and pretty much reminded them the likes of S1000RR and CBR1000RR which seem friendlier for street use right off the dealership. The engine power remains the same in general but there is a great range of trust to be put onto the motors across the rpm especially right around the mid-range of the rpm. Sepang circuit consisted a lot of mid to high rpm turns with a few low rpm requirement such as maybe turn 9 and turn 2. The bike shows no indication that it’s struggling to deliver a smooth power to the rear tire which translates into great traction for rider to navigate the turns. The bike’s braking power was certainly amazing as it delivers great stopping ability with the two riders claiming they just needed one finger to slow down the bike. 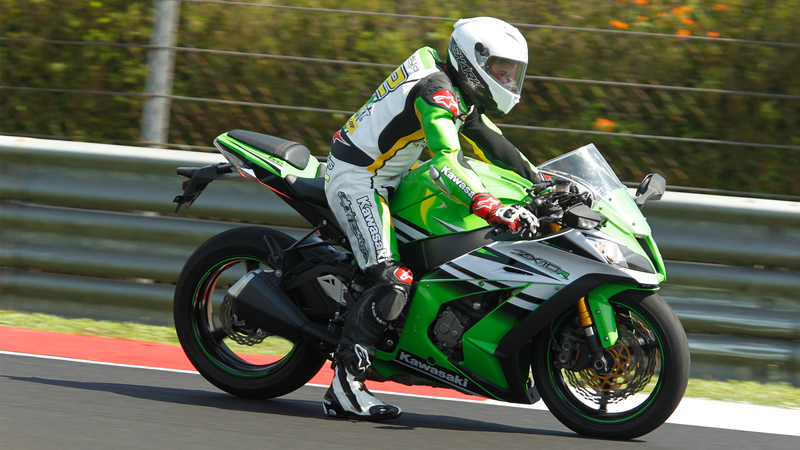 It’s nothing unusual nowadays for a modern superbike to have such braking power. Kawasaki introduces a braking assist that reduces the feedback sensation while braking thus the rider can feel more on their braking input and be more confident to slow down the bike as it should. The electronic package was certainly a great help to this bike in which it can help the rider pushes more without having too much concern of crashing the bike; this of course depending on their riding level. Our test riders gave a positive feedback on how it improves their ability to get comfortable with the machine faster. Overall, these initial writing on the new Kawasaki ZX10R is positive, the bike feels a much better packaged than its predecessor while not jumping away from the DNA of the successful Kawasaki ZX10R. We are looking to share more insight towards our test in the upcoming weeks to come as we prepare for the release of the 2016 MR Motorcycle Show on our Youtube Channel. Please do stay tune with us for more updates and join us on FACEBOOK and our TWITTER for a richer Malaysian Riders experience.